You already know how to get to the Valley Forge Trail Camp from Red Box, so in this post we’ll look at the more challenging route from Eaton Saddle. 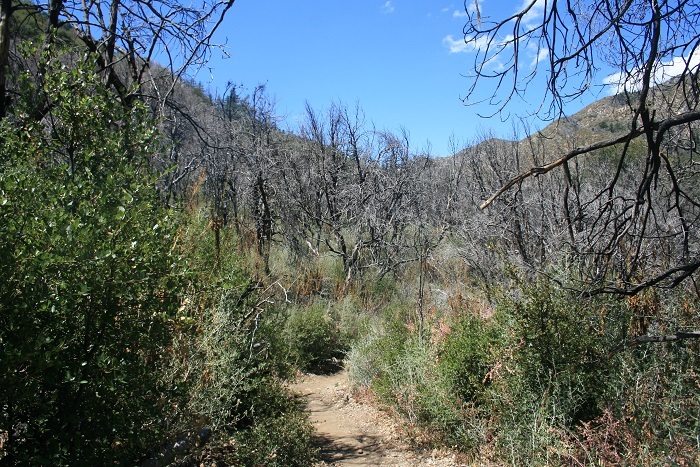 Unfortunately the Valley Forge Trail still shows the effects of the Station Fire – notably in the presence of poodle dog bush and several stretches that suffer from severe erosion. 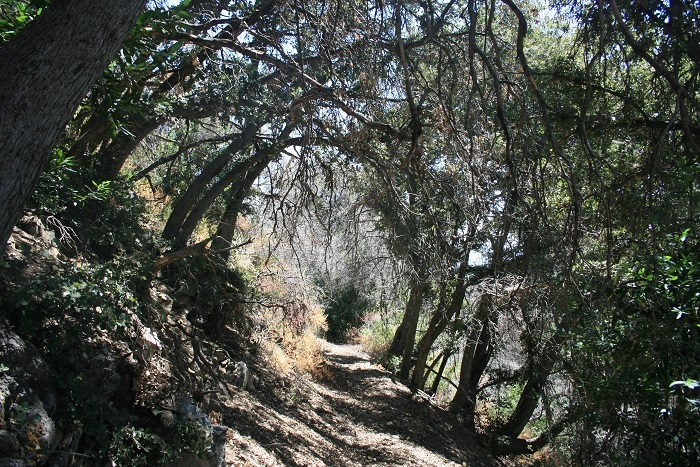 If you are willing to be vigilant about avoiding the poodle dog bush, which sometimes all but covers the trail (long sleeves are highly recommended), this is an enjoyable hike, providing excellent views of the eastern San Gabriel Mountains, often from beneath the pleasant shade of black oaks and pines. Like the approach from Red Box, this is a reverse hike. 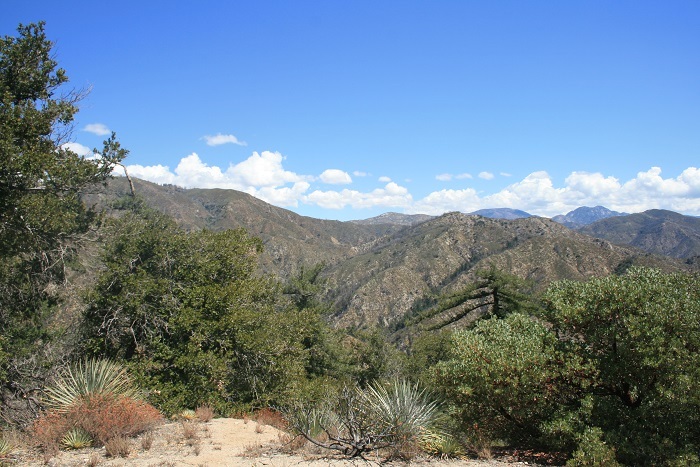 Though the ascent back up to Eaton from the trail camp can be taxing, in the late afternoon, the sun will likely be blocked out by San Gabriel Peak. Begin by following the signed Valley Forge Trail downhill, soon making a switchback and entering the first of many patches of poodle dog bush. After a second switchback, you enter a grove of black oaks. You continue your steady descent, taking caution to avoid the poodle dog bush and along the washed-out sections of the trail. 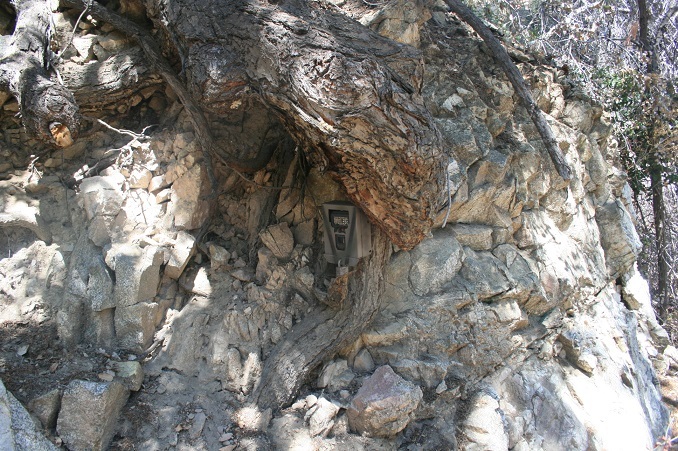 At about 3/4 of a mile, duck under a fallen tree and at about 1.25 miles, keep an eye out for a surveillance camera mounted on a tree, one of several placed in the San Gabriel Mountains to capture wildlife footage. 0:37 – Smile, you’re on camera. 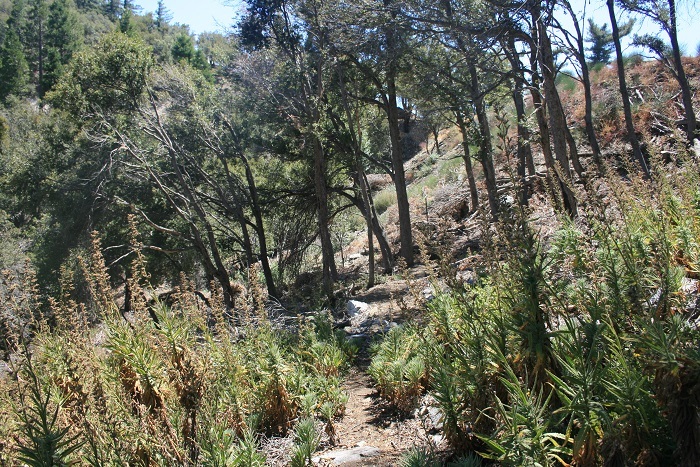 After making a few more switchbacks, you reach a junction at 1.9 miles, beneath a large pine tree. A false trail heads left; the Valley Forge Trail heads right and continues making switchbacks as it descends the slope. 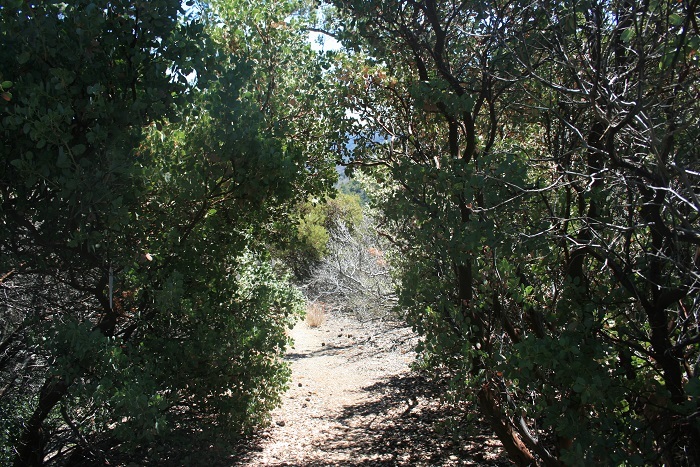 Near the bottom, keep an eye out for more poodle bush as well as some poison oak. 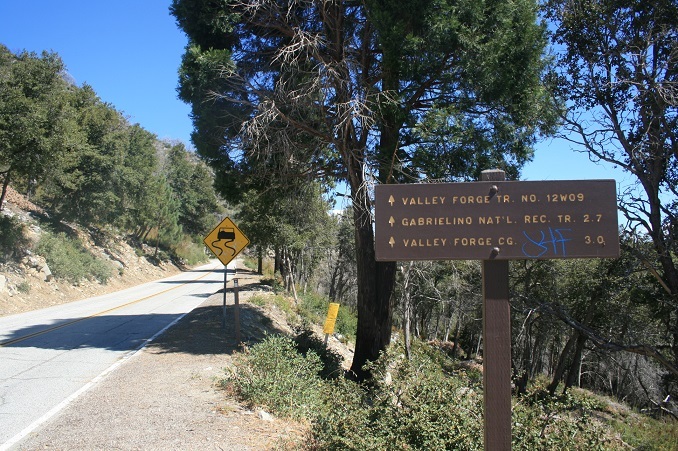 At 2.6 miles, you reach the Gabrielino Trail. Turn left and descend a short distance where you’ll make a hard right on a spur leading to the Valley Forge Trail Camp. 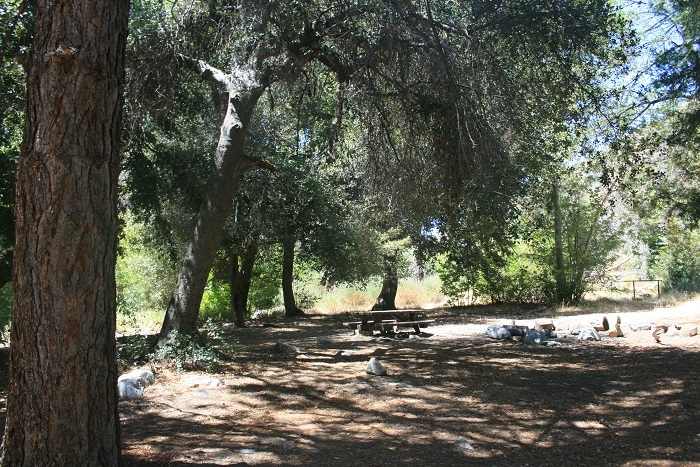 Here, you can sit at a picnic table beneath tall oaks and sycamores and enjoy some peace and quiet before making your return. 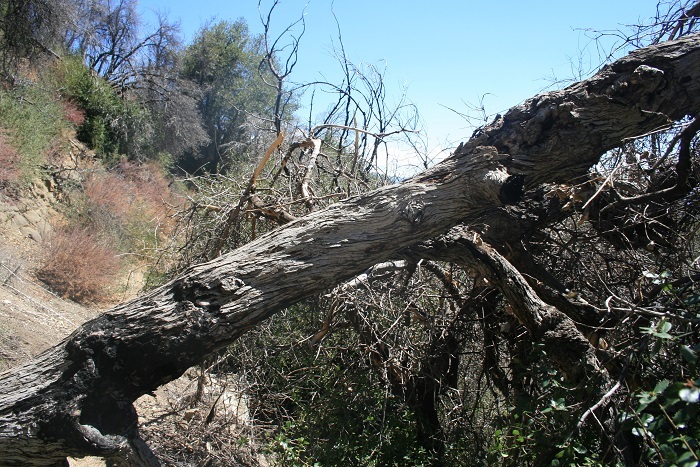 If you have left a car shuttle at Red Box, you can return via the Gabrielino Trail, a more moderate ascent.